​Sometimes it's difficult to understand your own artwork, let alone other artist's! What does that image you drew of a girl with a house for a head REALLY mean? 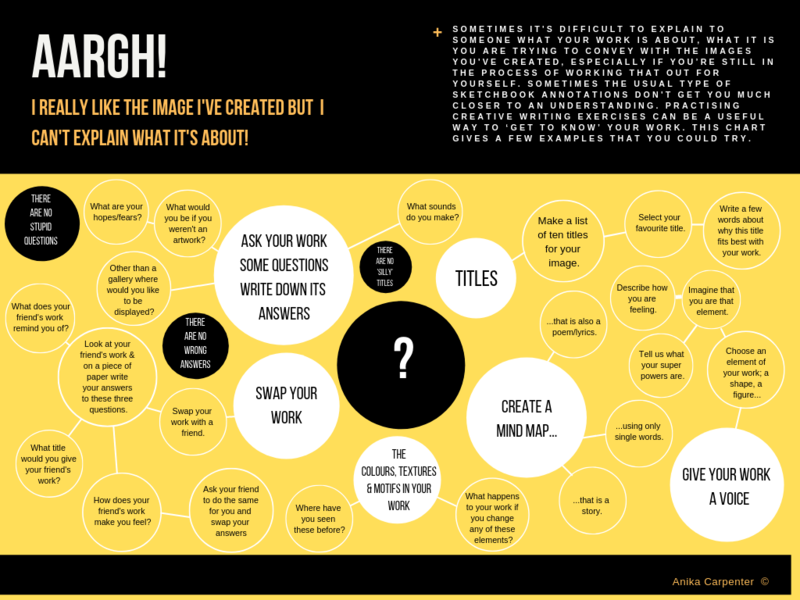 Why do you use SOOO much yellow in your work? Click the button below to view some exercises that might help you to get to know your work a little bit better.